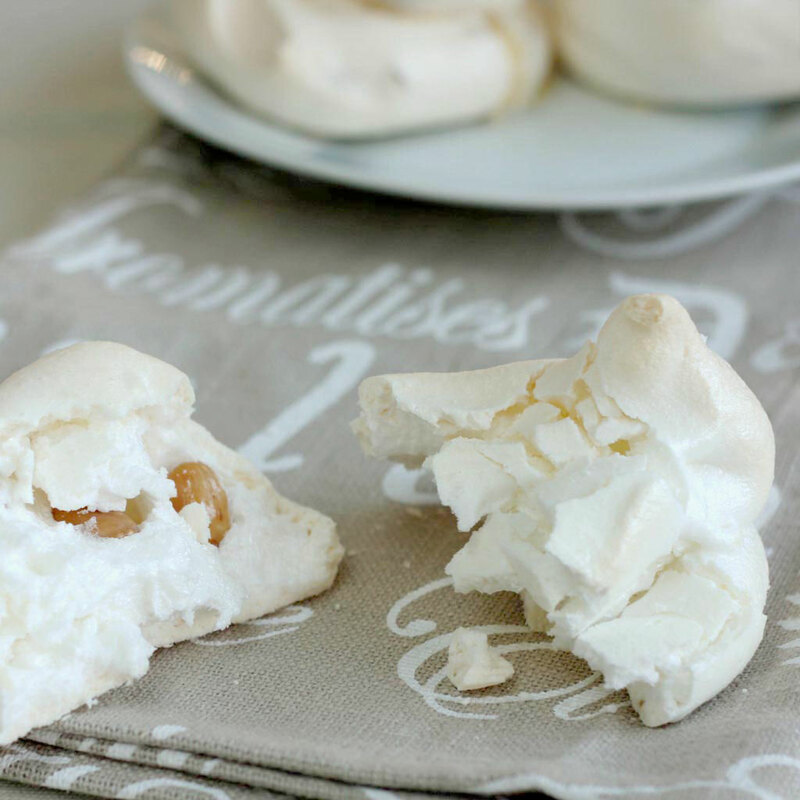 Almond Meringue Recipe – I Did It! I was trying to prepare a meringue recipe with no success. Since I ate a wonderful almond meringue in a restaurant, I’ve been trying to replicate it, as the chef keeps his recipe as a secret. Well, after some unsuccessful meringues that came out chewy, this one really satisfied me. It is a typical Sardinian candy, but usually with ground almonds. I prefer it with whole almonds as the restaurant one. I used peeled almonds instead of unpeeled (as the chef’s meringue), and my husband said they’re much better peeled, as I did. 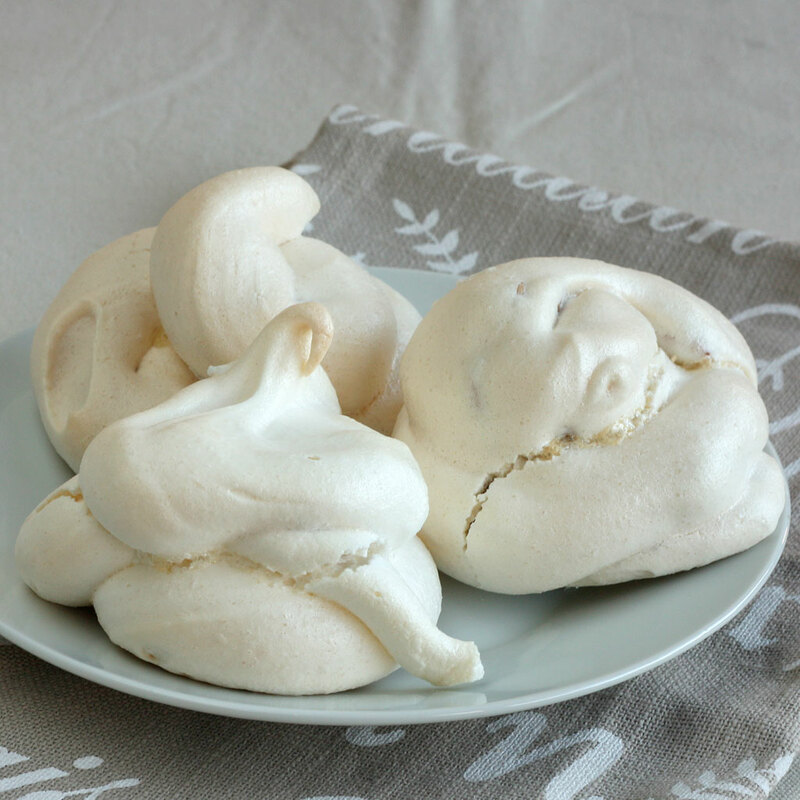 As I said before, I am not a specialist in preparing meringues, but I know exactly how I want them to become. I do not like dry ones, but I want them to be humid inside. 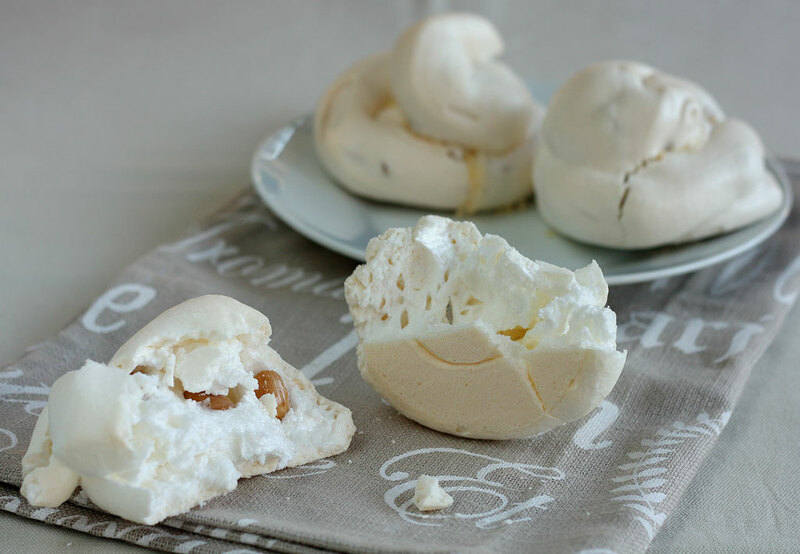 I believe the secret for a perfect meringue recipe (and this one plenty satisfied me, I mean,I don’t feel like looking for a better one ;-)) is the cooking time and method. For the proportions, I used the 1 third rule. Just weight the egg whites and then use the same quantity of icing sugar and common sugar. That’s all! I didn’t even measured the almonds – I believe I wasn’t believing it was going to work this time neither. But I believe using them or not, or their quantity (of course you can’t use 2 cups of almonds or you will deflate the meringue) don’t make a difference. 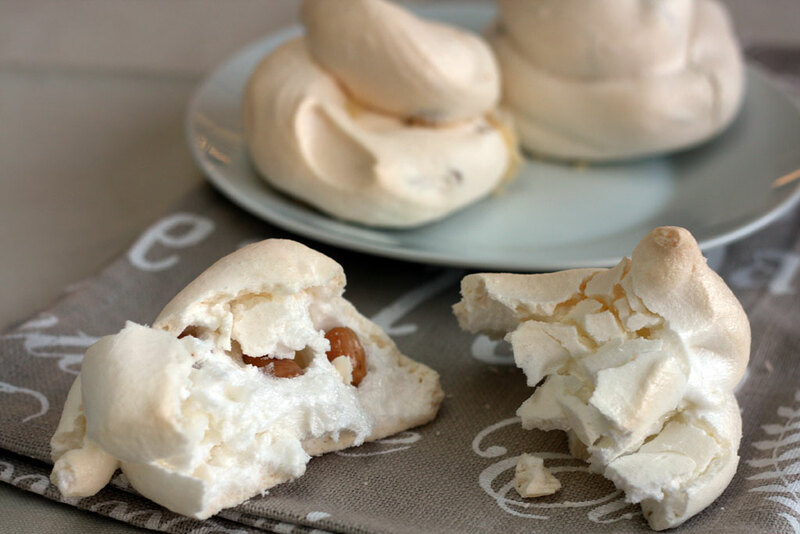 Almond Meringue Recipe - I Did It! Toast the almonds a little bit in the oven. Put the egg whites into the mixer bowl. Beat until stiff and then add half of each sugar. Add the remaining sugar mixing gently with a wood spoon. Fill a sac a poche and make your meringues (I did 6 big ones). Put into the oven and, after 5 minutes open lightly the oven door and bake for 2 hours, always with the oven door slightly opened.